Update (20121127) NEMA 17 brackets came in! And even more surprisingly: we like them!! I just put them back online again. It is possible to order the brackets again. Finally! 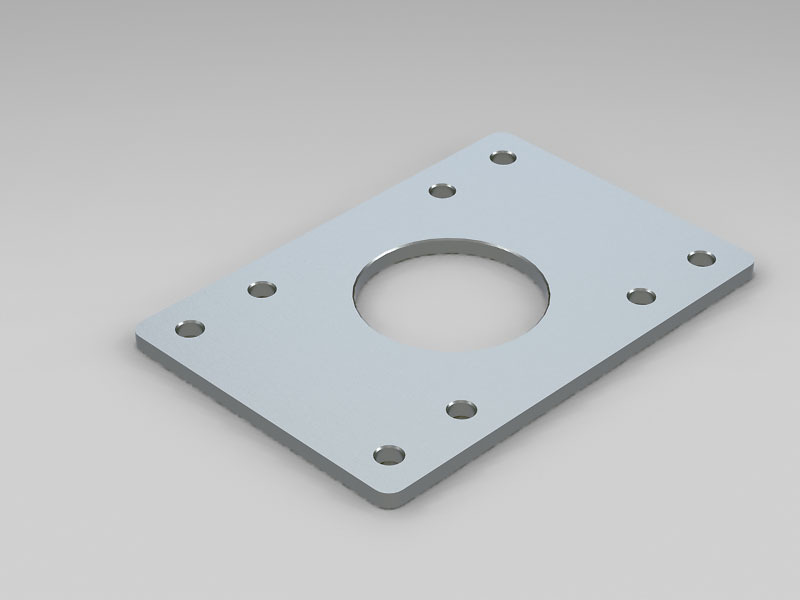 Now we are waiting for the brackets of our second manufacturer. 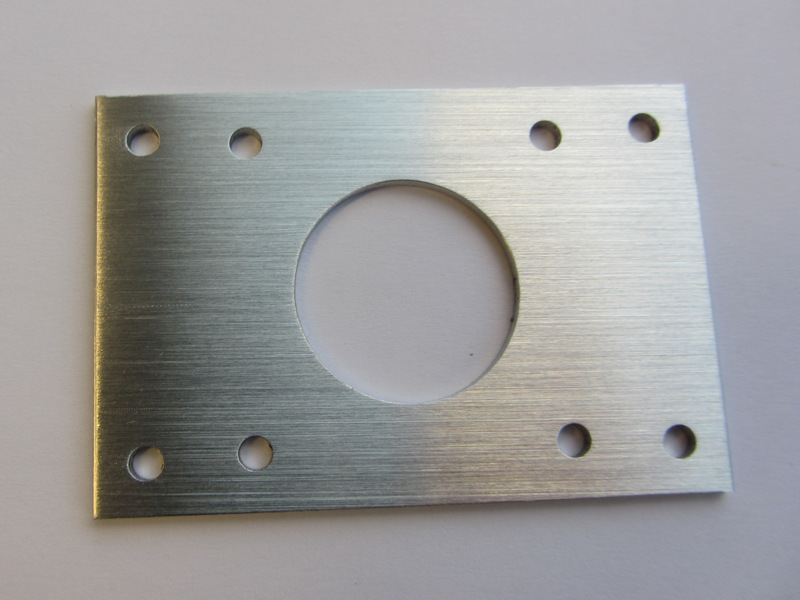 Here is a picture of what the bracket looks like (the right amount of holes and a polished look). Currently there are two manufacturers working on NEMA 17 brackets for two beams. Here is a link to an earlier blog post (20121026) about this. The information we get on the first company is not that good. 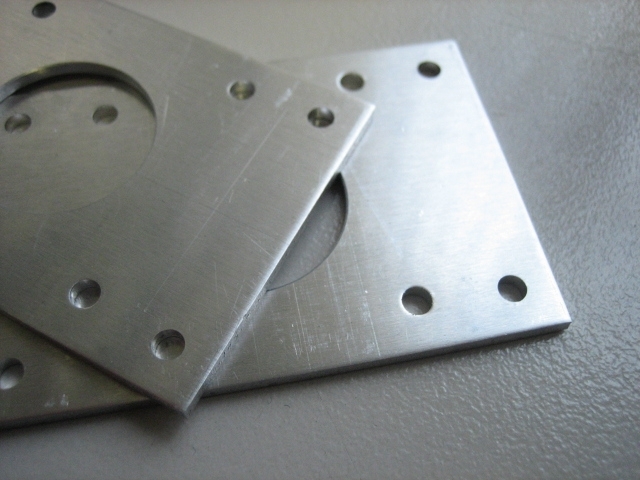 They made the choice to make them with sheet metal instead of aluminum (AlMg1). This to make them stronger they say. Now the brackets are ready, but there is the question whether or not we want to have them polished, see picture. The answer is yes we want them polished! This will take a few more days. Probably they still will be in by the end of November. This is when we expect a new batch of black anodised beams in, so good enough for us. We have been waiting this long, we can wait a little longer. We are very optimistic about the second company. Pictures of the finished product we have not received yet. However we did receive good drawings and good feedback. The company even pointed out to us a flaw in the info we gave. That is why we are optimistic and are hoping we can get our servo brackets made there as well. We are working on this. 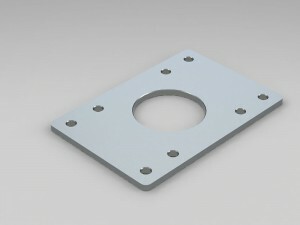 Here are some drawings of the NEMA 17 brackets and the servo brackets. 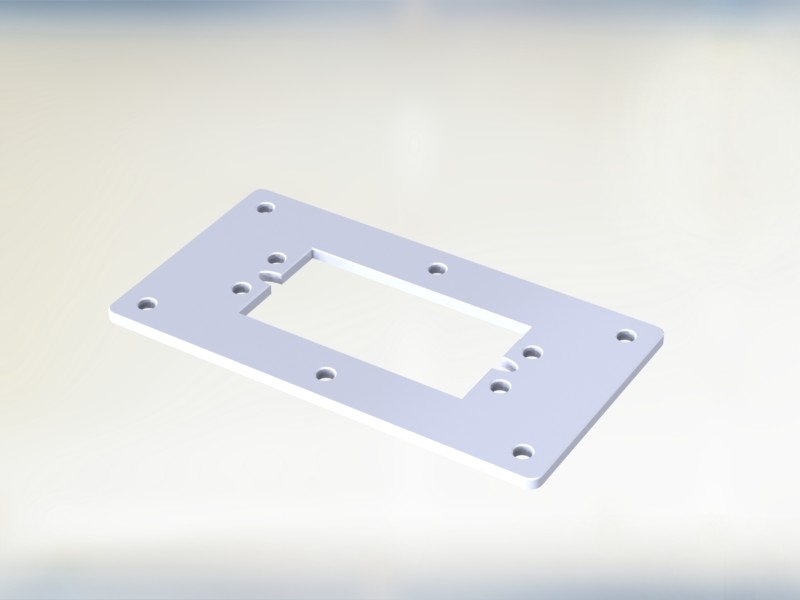 You may want to take a close look at how the OpenBeam servo brackets are stamped. On a lot of servos, the wire and strain relief on the servo comes out pretty far from the body. As such, you will not be able to install the servo here (unless I’m missing something or you’re installing the servo from behind the bracket face). If in doubt, laser cut the part out of plastic and do a test fit before sending it off to the manufacturer to avoid costly rework. 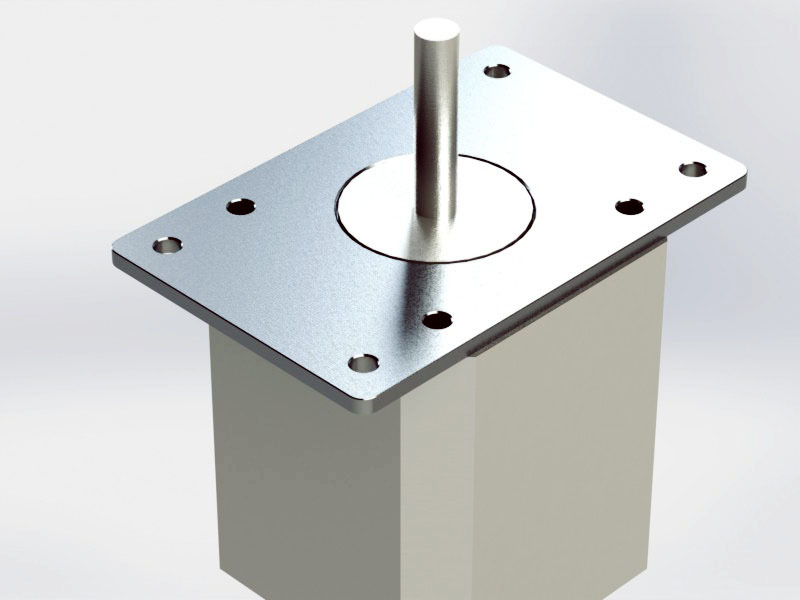 Actually – come think about it again – you really should look at the NEMA17 and Servo brackets from OpenBeam. They are engineered to be also MicroRAX compatible and by extension should be MakerBeam compatible. Sounds interesting. Please send us an email with your price information.